Our Sunday morning service is geared toward people who feel most connected with God when engaging in the type of worship that has been developed over centuries. This is the perfect service for those who enjoy singing the old hymns and praying prayers communally. This service takes place in our Sanctuary, beginning at 10:30am. Communion is served on the first Sunday of every month. 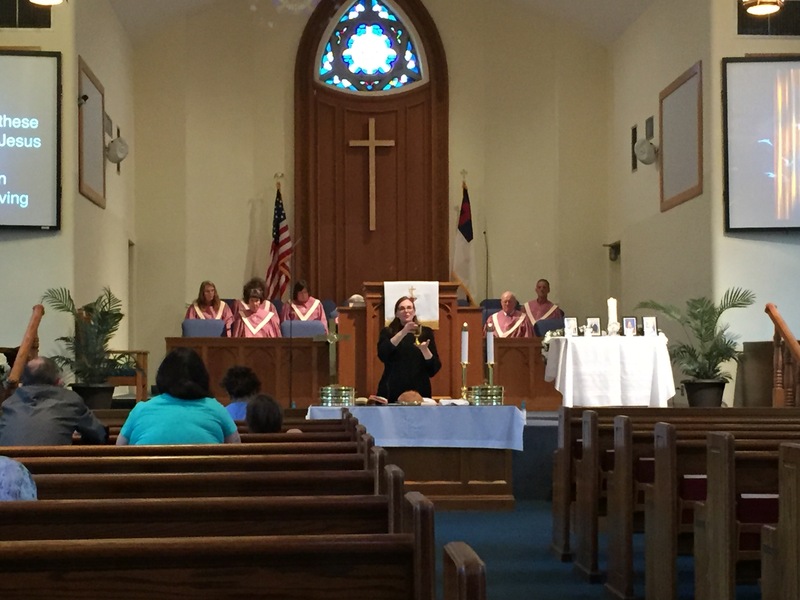 The United Methodist Church believes the Communion table is open to all. Gluten-free elements are available for those that have allergies or dietary restrictions. 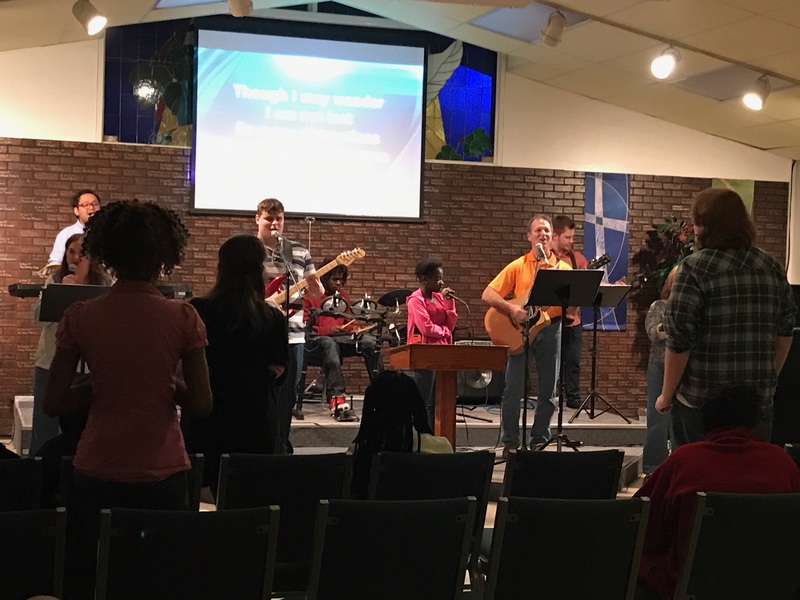 Our Sunday evening service, which we call Kaleidoscope, is geared toward people who feel most connected to God through contemporary and tangible worship. This is a perfect service for those who like to engage in new worship music and praise choruses. It can be particularly fun for kids as we have rhythm instruments available for our kids to play with the band and add to the joyful noise being made. This service takes place in our Fellowship Hall located next to the Sanctuary on Edgewood Avenue. Communion is served on the first Sunday of every month. The United Methodist Church believes the Communion table is open to all. Some of them might be answered by clicking on the "New Here?" page, or contact us. We'd be happy to answer any questions and make your first visit a great one! We look forward to being blessed by your presence.